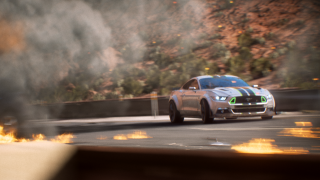 Starting November 2nd, subscribers to both EA Access* and Origin Access* will be able to kick start their Need for Speed Payback experience, earlier than anyone else. Pick up your controller and enjoy Need for Speed Payback from the comfort of your own home. Join Tyler, Jess and Mac as you take on races, missions, and challenges to earn the respect of the Valley’s underground and compete in the ultimate race to finally take down The House. You’ll be able to play through the opening two chapters of the game, culminating in the Highway Heist blockbuster mission. Along the way, you’ll be filling up your garage, customizing cars and maybe even finding a Derelict. 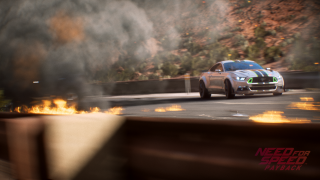 You’ll also have access to multiplayer Speedlists, where you’ll be able to prove yourself as one of the best racers in Need for Speed Payback. All of this can be enjoyed for up to ten hours. Because this is a trial of the full game and not a demo, your progress, including rep levels, bank, cars owned, customization and achievements will all carry over when you buy the retail or digital version. Carry on exactly where you left off, and bring down the house. To recap, what’s included in the Play First Trial? Plenty! Trials are just one benefit of an EA Access or Origin Access membership. Members can also play every game in The Vault , a growing collection of great games. Access members also get a 10% discount on all EA digital purchases, including full games, pre-orders, expansion packs, and everything in between.